Thanksgiving is plenty of fun on its own, but you know what makes it ten times more fun? 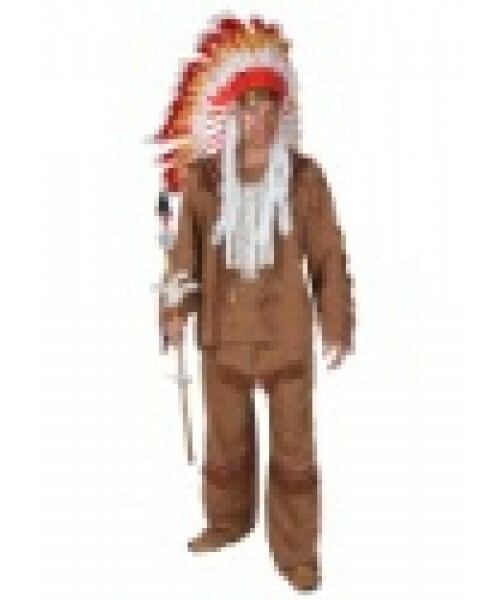 A Plus Size Deluxe Mens Indian Costume is the perfect way to start a new family tradition. Every Thanksgiving is the same. Watch the parade in the morning, clean the house for the family, peel potatoes, baste a turkey, eat too much food, watch football, take a nap. Have you ever wondered how you can start a new family tradition and give Thanksgiving a jolt of creative energy? You have? Perfect, because our Plus Size Native American costume is just the thing to make your Thanksgiving unlike any other. 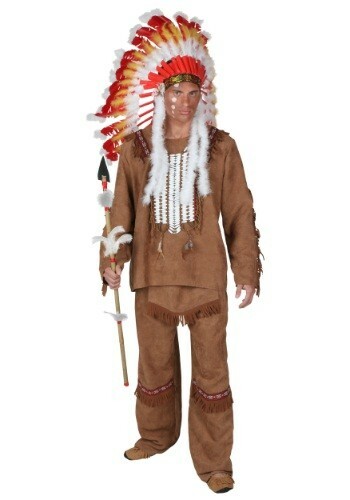 A costume reenactment, that's the ticket! Now all you need are some sweet potatoes. Mmm... sweet potatoes.